Six-Pac Recycling is dedicated to being an environmentally aware recycler by realizing we need to not just recycle materials like metals, plastics, and papers, but we also need to make sure that we are minimizing our pollution and carbon foot print while doing so. Rain water falling from the sky, and coming into contact with soda can, copper, and any other materials in our yard creates a water pollution problem. Contaminated rain water runoff is a serious problem in the recycling industry, and Six-Pac is taking steps to eliminate any contaminated water runoff into the Santa Ana River. In the past 2 years Six-Pac has taken on a multi-phase project, spending over $300,000, to improve its recycling yard to contain all rain water runoff. With our rain water now contained, state of the art sophisticated filtration takes place on site and removes all contaminates and pollutants bringing the water to a drinking water standard. Pollutants are stored for later proper disposal by a licensed environmental company. By filtering our rain water we eliminate contamination coming from our property into the Santa Ana River, where once there was an active eco system with Salmon and other species of animals. Being a responsible recycling center is part of the complete recycling solution. We believe the next generation deserves a clean planet and it’s up to everyone and every business to contribute to a clean and prosperous world. 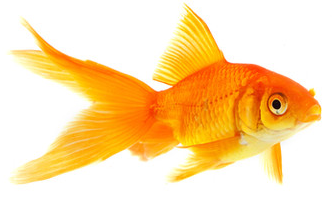 Because of our extraordinary efforts toward that goal, people started calling us “Goldfish Friendly” and we’ve come to agree it’s an accurate motto for such an environmentally friendly company like Six-Pac Recycling.